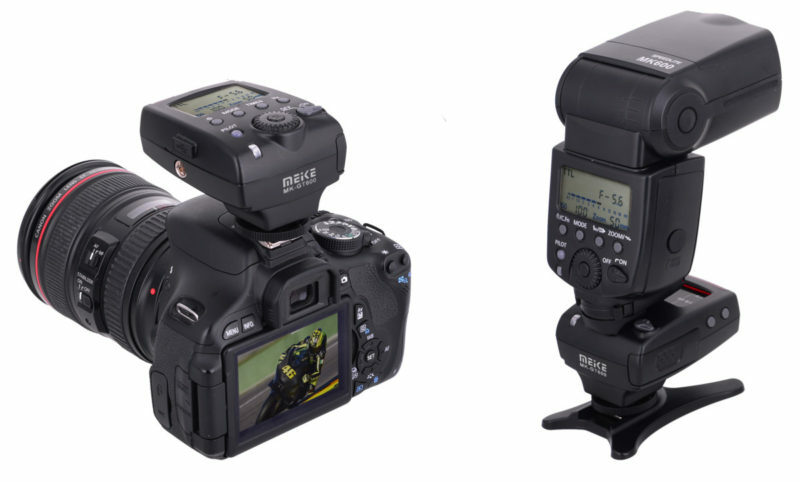 Photographers looking for a new E-TTL radio trigger just got another option to consider. The MK-GT600C, from Chinese company MeiKe, is a 2.4GHz master-slave system designed to carry TTL signals over ranges as far as 100 metres. It’ll give you automatic exposure, ratios, manual power control, high-speed sync (HSS) and rear-curtain sync between your Canon DSLR and three groups of 580EX II, 600EX or MK600 flashes. You can mix and match groups, opting to set each one to TTL or manual mode. The radio signals will carry further and more reliably than an equivalent optical Master Speedlite or using your DSLR’s pop-up flash. The MeiKe MK-GT600 transmitter has an LCD control panel displaying current power levels and settings for your Speedlites. Any Canon users waiting for the Yongnuo YN-622C-TX — which still has no estimated release date — may be tempted by this product. International reseller EachShot is offering 6% off to Lighting Rumours readers, bringing the price down to $93.05. Just buy yours via this link or enter discount code LR!23792 during checkout. The MK-GT600 is also available on eBay for about $100 per set. A Nikon i-TTL version, the MK-GT600N, is in the works. Or if you prefer to transmit your TTL optically, check out the MeiKe MK-310, a master flash in the same form factor. For more information on the MK-GT600 triggers, visit the manufacturer’s product page.